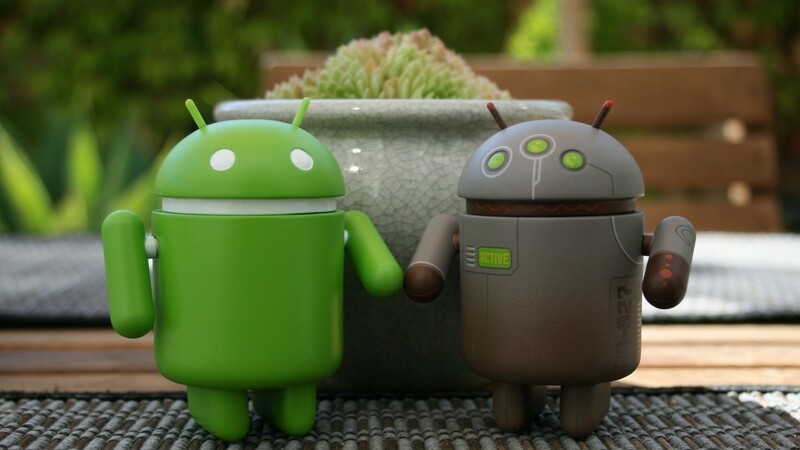 Google’s Android mobile operating system turned 10 last month. Since its 2008 launch, the Android OS has gone from being part of a crowded marketplace of mobile OSes to becoming the most popular one. In the interest of nostalgia, here’s a look back at some of what I’ve written about Android over the years. One downside of Android: unlike iOS, its OS base is quite fractured, as manufacturers would prefer users buy a whole new phone versus upgrading existing devices. This infographic outlines the current fractured state of Android. My first Android based smartphone was bought in 2011, after a few years of using, and ultimately being disappointed by, the Palm Pre. The Pre ran WebOS, which is now defunct as a smartphone OS; it’s currently used in smart TVs and appliances. I feel I’m due for a newer phone, as the Moto G is growing long in the tooth. Android’s also installed on tablets. Unlike smartphones, Android hasn’t proved as much of a success on tablets: apps for the OS are often designed only with phones in mind; the quality of Android tablets varies greatly; there’s the existence of Amazon’s Fire tablets (which run Fire OS, a modified version of Android); and the iPad is much better made than the vast majority of Android tablets. My experiences with the Samsung tablet put me off on ever buying another Android tablet. While Fire’s Android-based, it seems better supported (so far) than the previous tablets I’ve owned… and when Amazon does stop supporting it, I won’t feel like I’ve wasted a ton of money. That said, I’m also open to switching to an iPad, if finances or circumstances permit. 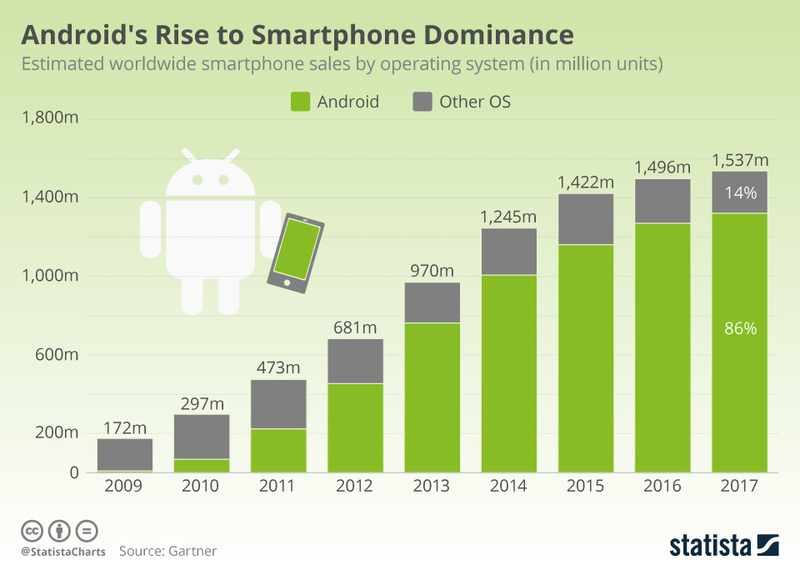 Android’s market share has grown from nearly non-existent almost a decade ago to becoming the world’s dominant mobile operating system. Here’s another infographic, this one outlining Android’s growth. Note the “other OS” for 2017 is basically iOS. 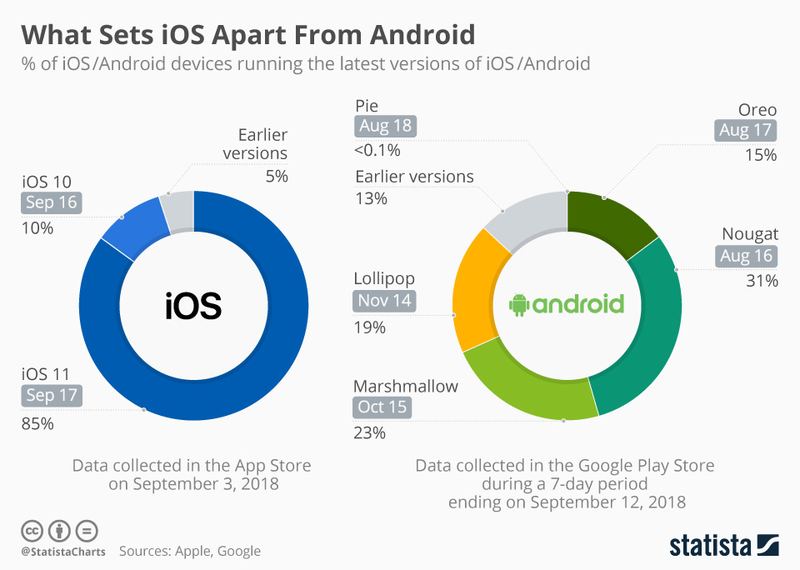 As I wrote earlier this year, the only two mobile OS choices are now Android and iOS, a big shift from the multiple OSes at Android’s launch.